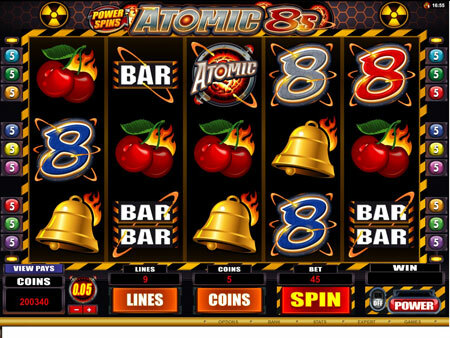 Post with tag "Atomic 8s slots"
Great Griffin and Power SpinsTM – Atomic 8s dazzle online casino players with Wild, Scatters, Multipliers, Free Spin Features and Bonus Games. Red Flush Online Casino announced this week the addition of two new video slots to its portfolio of casino games, namely Great Griffin and Power SpinsTM – Atomic 8s. The new casino games were released on February 8, 2012 on both the casino’s Download and Instant Play platforms. Today Alex Roberts, the Red Flush Casino promotions manager, said that the new games are the most exciting from Microgaming for 2012 so far. "We’re close to offering a portfolio of over 550 games and there’s no better way to close down on the milestone than with two of the most entertaining games," he said. The new video slots from Microgaming can be accessed directly from the Red Flush Casino lobby, where a number of other popular games can be played; including the highly acclaimed The Lord of the RingsTM video slot. 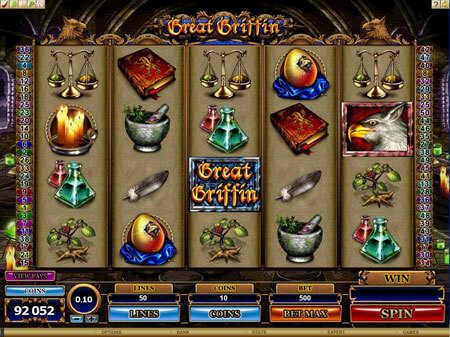 Personified through flawless interactivity and impeccable artwork, the Great Griffin video slot brings to life a majestic creature that has been fear since the ancient days as the guardian of treasures and invaluable possessions. The Great Griffin – a majestic creature with the body of a lion and head and wings of an eagle – is the protagonist of this 5×4 reel and 50 paylines that offers an abundance of Wild substitutes, free spin rewards, multipliers and a second screen Pick Bonus. The graphics are imaginative and create an intense ambience which becomes even more electrifying when the Griffin flies across the reels to scratch random numbers, turning them into Griffin Wilds during which all wins are doubled. Power Spins – Atomic 8s video slot takes the basic format of the original game, and transforms it into a super slot that’s complete with a Power Spins button that can be clicked at any time to activate both the left to right as well as the right to left paying directions. The game is encapsulated through 5 reels and 9 paylines with additional Wild and Scatters that jump to life through the use of electrifying graphics. The Atomic logo, a first from Microgaming, is appropriately the Wild and can reward up to 8,000 coins when 5 of these appear on the reels. Roberts added that the above new games are the first of many exciting titles to join the casino this year. "Microgaming has announced some very exciting developments, which include the release of another video slot based on a major film trilogy," he said. Play new slot games now!